In North America a progression of conflicts between the French and the Indians occasioned the developments there which went hand in hand with the European colonial wars. The North America witnessed, at a small scale, some rivaling struggle between Spanish and Dutch forces, nevertheless there was a large scale conflict: the Great Britain, its colonies and the North American Indian allies on one side while the French, their colonies and the (local) Indian allies on the other side. The mounting French and British colonies were contesting for accession to the control of the western territories. 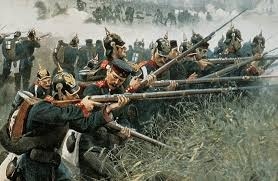 Most of the European wars were perpetrated as after the consequence of actions within these colonies, the exact dates of the conflict, however, didn't exactly match to those of the major battles. During the second half of the 18th century, following the American Revolution, the Thirteen Colonies of North America toppled the rule of the Parliament of Great Britain and established the sovereign United States of America. During the course of the ensuing struggles the colonies first condemned the rule of the Parliament without local representation and then formed the independent states. Later on the Second Continental Congress merged with the states to launch the armed struggle (c.1775-1783) known as American War of Independence to restore the sovereignty of the states. Armed clash at Lexington and Concord marks the inception of the American Revolution. 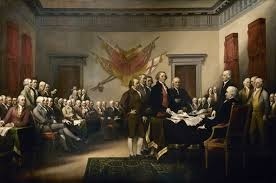 The sovereign states on July 4, 1776 seconded the Declaration of Independence, drafted by Benjamin Franklin (an appointee of the Committee of Five), that affirmed their liberation from Great Britain and proclaimed the establishment of a "cooperative union". While the draft was being prepared during June, 1776 Franklin couldn't attend all the meeting owing to arthritis, nevertheless he made frequent edition to the draft sent to him by Thomas Jefferson. The defeat of Great Britain by the revolutionary states was the first landmark of the colonial war of independence in modern history. By now the sovereign states, that had already turned down the rule of Parliament, were also rejecting the legality of the British monarch to seek allegiance from. 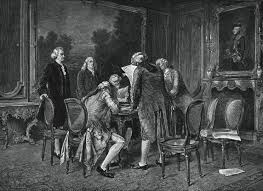 The American War of Independence continued for about seven years resulting in formal British withdrawal from the United States of America of any claim through the Treaty of Paris. 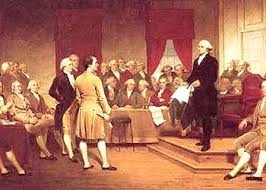 The United States in its more recent shape was established through the Philadelphia Convention whereas the subsequent ratification through its constitution made the United States a republic with greater measure of autonomy residing with its constituent states. 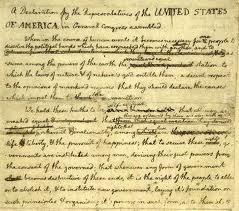 The year 1791 is important for the ratification of the Bill of Rights, finalized after ten constitutional amendments, ensuring a number of fundamental civil rights and considerable degree of liberalization for an individual with regard to freedom of expression in particular.